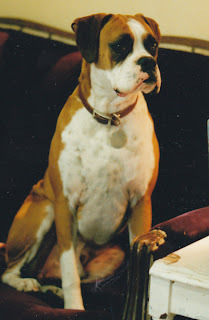 He was gorgeous, smart, gentle and so loyal. He loved music, he loved to dance and he loved to play - all his life. He could smile and when he did, it made us smile in turn. Eating was always a pure pleasure and he could vacuum a floor of crumbs better than any machine. He raised his little "sister", Capucine, like he had read the how-to book on little siblings - always patient, knowing just when she was ready for the next step. He loved her dearly and protected her fiercely. A better friend with a bigger heart would be hard to find.